Among historians of science it is often believed that if there is any century in the history of chemistry about which we are well informed it is the eighteenth. 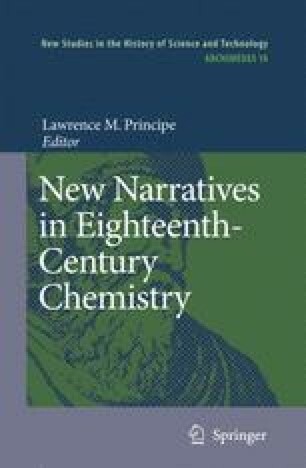 After all, the eighteenth century is home to the Chemical Revolution, an event dating from the last quarter of the century and centered, of course, upon the discoveries and ideas of Antoine Laurent Lavoisier and his colleagues. Lavoisier’s work has produced a veritable industry of scholarship; indeed, one that extends well beyond strictly historical studies.